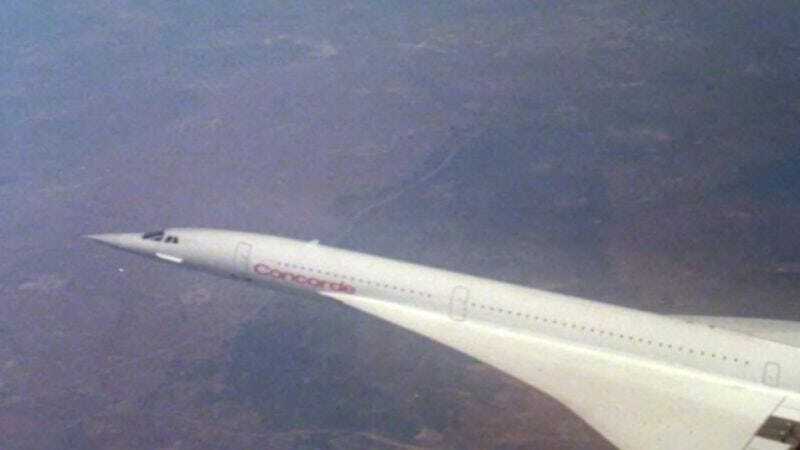 Tagline: At twice the speed of sound, can the Concorde evade attack? Plot: Once upon a time, way back in 1970, Universal Pictures made a movie called Airport. Based on a novel by Arthur Hailey, it told the story of an airport struggling to operate in spite of a horrible blizzard, a mad bomber, and a variety of melodramatic romantic entanglements. Corny but effective, and jam-packed with professionals capable of turning in performances just the right side of camp, the movie won awards and made a ton of money, landing as the highest-grossing picture of the year. Its popularity and open-ended concept meant a sequel wasn’t a complete surprise. Airport 1975 followed four years later, and Airport ’77 three years after that. Each subsequent entry featured the same commitment to star-studded casts and ridiculous theatrics; the diminishing returns were inevitable, but, as ’77 featured Jack Lemmon and Jimmy Stewart, not nearly as bad as they might’ve been. Which brings us to the final entry in the series, The Concorde… Airport ’79, an ocean-hopping, continent-spanning epic with a milk-money budget, stuffed with instantly dated television personalities and utterly committed to out-ridiculousing the plot points of your average episode of G.I. Joe. Story-wise, this all gets a bit complicated, so strap in. First, there’s George Kennedy as the hilariously sexist meatsack Joe Patroni. Kennedy is the only actor who appeared in all four Airport films, and his rise from engineer to airline owner to Concorde pilot is a moving tribute to the American dream of semi-random sequential achievement. Kennedy teams up with French pilot Alain Delon (star of Le Samouraï, presumably making a down payment on a houseboat) to fly the world’s first commercial supersonic jet from Washington to Europe. But danger follows them at every turn, sometimes in the form of Robert Wagner. Reporter Susan Blakely is having an affair with the married Robert Wagner, head of Harrison Industries. Blakely got word that Wagner’s company is involved in selling illegal arms, and now that Blakely has proof, Wagner decides he has to kill Blakely. But he wants to make it look like an accident, so he has a flunky reprogram a Buzzard Drone, part of the missile system his company is trying to sell to the military, to “malfunction” during its next test firing and destroy the Concorde mid-flight. In addition to all the hormonal madness, there’s Avery Schreiber and his deaf daughter; Charo, dropping in for a scene as a well-dressed ditz trying (and failing) to smuggle her dog on board; David Warner as a navigator with a troubled marriage; Cicely Tyson as a mother transporting a heart to her dying son; Eddie Albert as extremely horny man married to Sybil Danning; and more corny punchlines and cheap sentiment than a Dean Martin roast. None of this is particularly essential, and the movie’s baffling two-hour runtime makes each meandering, forced bit of Love, American Style hilarity all the more painful. Sign it was made in 1979: A number of the passengers making the flight are Olympic athletes on their way to a goodwill tour of Moscow, in preparation for the 1980 Summer Olympics. Except the U.S. ended up boycotting the 1980 Summer Olympics, which gave Airport ’79 a small window in which it was topical before it became instantly dated. Kennedy is weirdly charming throughout the Airport franchise, with a kind of corpulent geniality that seems to have gone out of favor in modern film; his constant stream of sexist remarks (see below) and the gasps of laughter they inevitably receive have a kind of folksy charm when compared to the entire filmography of Dane Cook. Timeless message: Nothing can kill the Patroni. Available on DVD from Universal Studios.